The snow bursts of cherry blossoms in the Luberon Valley drove me mad! The scent of the blossoms, their whiteness in the newly warmed spring air, the way they shivered in the faintest breeze, called me in close, as if to stand inside their space was to bring me closer to spring itself. This search for the essential nature of anything that calls out to me has been my long time practice, and I find that in moments like this I want to be part the experience, not photographing it from the cool distance of the observer, but becoming integrated in it somehow. And this tree – one of many in the long lines of orchard trees – brought me close to that kind of trance state, where I stood, spellbound, and felt as if I could have stayed forever watching the barely discernible flutter of petals, while listening to the steady hum of the bees. It almost doesn’t matter to me at that point what the photograph looks like in the camera, what matters is keeping the simple wonder of it all alive. 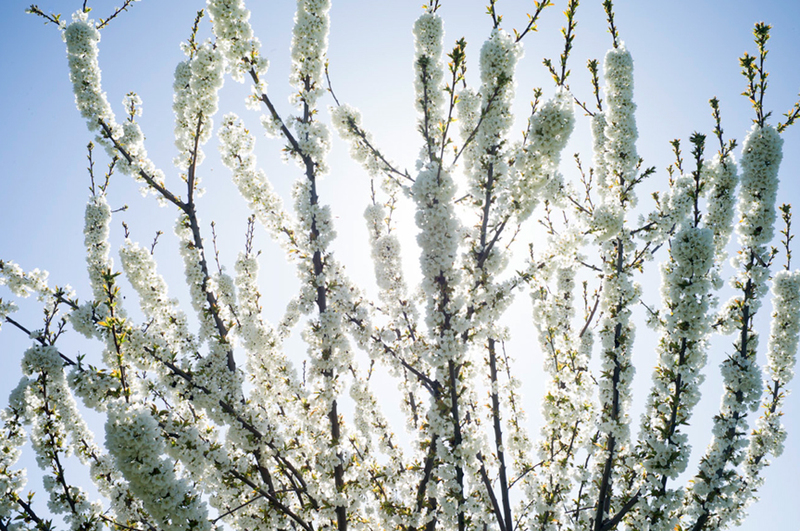 This entry was posted in Simplicity, Springtime, Uncategorized and tagged Bonnieux, Cherry Blossoms, Landscape, Light, Trees on April 14, 2015 by joelmeyerowitz2014.